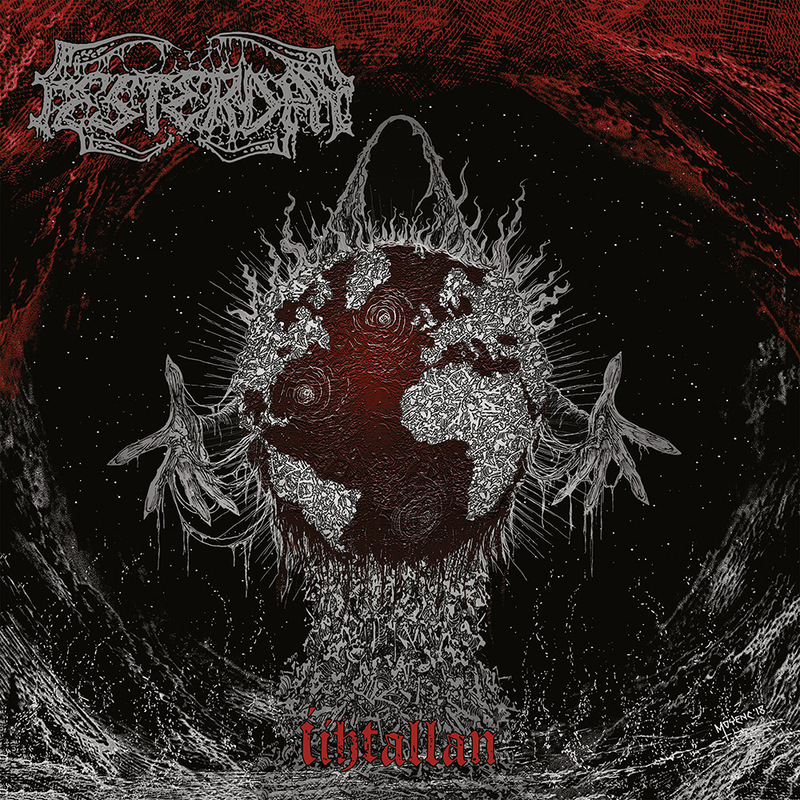 Finnish death metal outfit FESTERDAY are premiering the first track of their new album ‘iihtallan’. The band’s debut full length is slated for worldwide release on January 4, 2019 via Season of Mist Underground Activists. The song “Edible Excrement” is streaming exclusively at Decibel Magazine. The cover artwork was created by Christophe Moyen and can be viewed below together with the track list. Following FESTERDAY’s first EP ‘Cadaveric Virginity’ on Season of Mist, comes the bludgeoning debut of these cult death metallers, titled ‘iihtallan’. 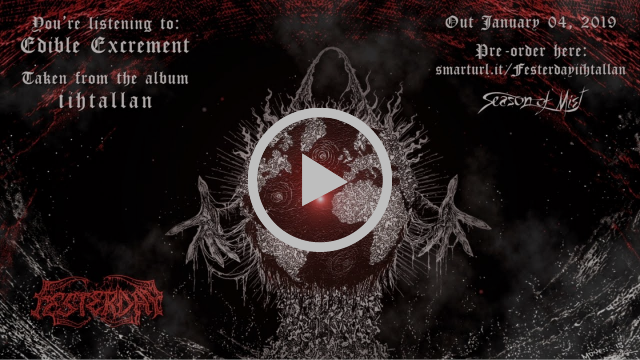 The album, to be released on January 4th, will ensure that 2019 kicks off with a loud bang for (old school) death metal fans. Starting out in 1989, Pietarsaari, Finland, FESTERDAY was inspired by early, classic death metal acts and named their band after a song on ‘Reek of Putrefaction’ by CARCASS. Early on in their career, the death metal formation released three demos, in truly laconic Finnish style simply entitled ‘Demo I’ (1991). ‘Demo II’ (1992), and ‘Demo III’ (1992) that gained cult status. ‘Demo II’ was also released on a split with CARNIFEX. In 1993, the group disbanded. 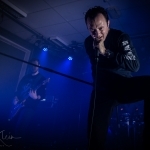 This could have been the end, but FESTERDAY regrouped in 2013, remastered all their previous material with Sami “Jämy” Jämsen at Studio Perkele in November 2014, and released everything on ‘…the Four Stages of Decomposition…’ (2015). Since then, the Finns have continuously worked on their craft, by releasing various splits, compilations and EP’s. It may have taken some time for FESTERDAY to realize their debut full length, but now that it’s here, the metal scene is in for something wicked. 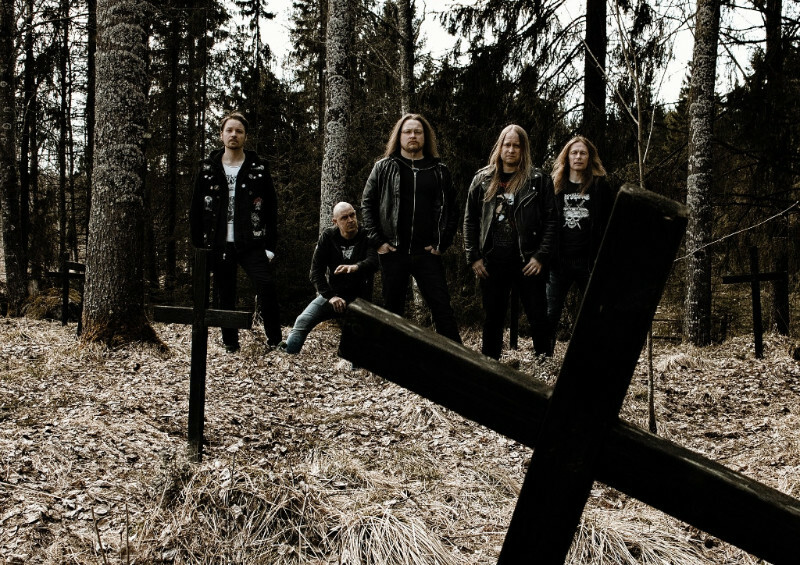 Merging their old school death metal roots with black metal and punk, the veteran musicians aren’t afraid to push the borders of extreme music and refuse to conform to what is standardized in death metal. Brace yourself for ‘iihtallan’!